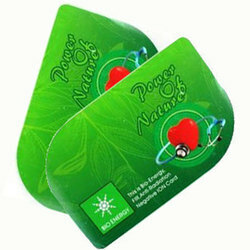 Powder Of Energy Nano Card, Proper Human Body Blood Circulation. Application: Proper human body Blood Circulation. The Far Infrared Ray(FIR) health cards are produced by FIR ceramic coating method using the unique bio-ceramic powders. 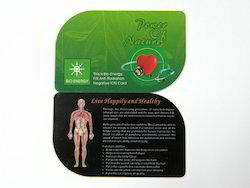 The bio-coated card have served kinds of medical functions such as the improvement of micro-blood circulation. - Improve the micro-blood circulation. - Relieve the stress and fatigue. BioCard consists of FIR (Far Infrared Ray), which helps to heal our body. When used daily, it provides a very high capacity for healing. Bio energy is renewable energy made available from materials derived from biological sources. Biomass is any organic material which has stored sunlight in the form of chemical energy. As a fuel it may include wood, wood waste, straw, manure, sugarcane, and many other byproducts from a variety of agricultural processes.